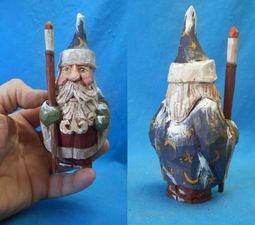 This wizard Gnome will make your home a lot more amusing. A great addition to collection of gnomes that you already have or it could just start your collection. Two Piece - hand carved from basswood.